Fulltone - Tone tools for the power-conscious. Michael Landau is a prolific session musician and guitarist who has played on a large number of albums since the early 1980s with artists as varied as Joni Mitchell, Seal, Michael Jackson, James Taylor, Helen Watson, Richard Marx, Steve Perry, Pink Floyd and Miles Davis. 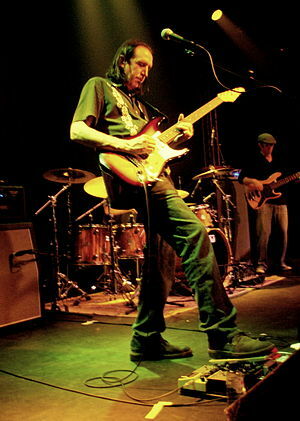 Landau, along with fellow session guitarists Dean Parks, Steve Lukather and Dann Huff, played on many of the major label releases recorded in Los Angeles from the 1980s-1990s. In addition to his session work, Landau has also fronted several bands including Raging Honkies and Burning Water. Read more about Michael Landau's use of the Fulltone Plimsoul.